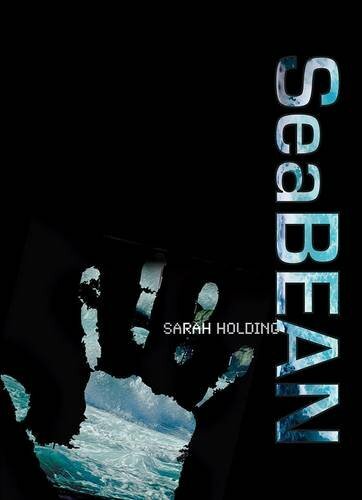 Thanks so much to Sarah Holding, author of the SeaBEAN Trilogy, for this wonderful interview. We are thrilled to talk to this awesome and talented writer who is very active in her community. I recently did a little study at Cli-Fi Books in a project where I categorized books and found that 25% of the novels and novellas are aimed toward YA or younger audiences. A lot of these books are fantasy. I think your books fall into both of these categories, and the approach seems to be an excellent way to reach children, especially with Alice being such a wonderful heroine. I’m sure that this was your goal–but can you tell me more about how you came up with this quite imaginative way to write for children? Back in 2012, I had several unfinished novels for adults and a first draft of SeaBEAN, and was unsure what I should concentrate on finishing. I remember the moment when I re-read SeaBEAN and realized it had the makings of a children’s trilogy, and I began to get very excited about writing the other two installments. The environmental theme was not really a deliberate intention at the outset, but as the story took shape and I got more immersed in researching its setting, I realized that I had a strong underlying ambition to show children through an adventure story what was happening in the world and how they could intervene and do something about it. Expanding upon the last question, there’s a strong environmental theme in your books, with the magical “C-Bean” transporting Alice and her friends around the world, through space and time, wherein it’s revealed that there are certain destructive forces ruining the planet’s ecological balance. How are kids/teens responding to this? I know, for instance, that when I was a little girl I was greatly moved by stories about nature, and protecting nature, which ultimately led to where I’m at now. Do you get much feedback from children? Is it hard to send an environmental message via fiction? The children seem to really warm to it – pardon the pun – and, contrary to what our current education minister nearly did to remove climate change from the national curriculum, it goes to show that it’s a topic that really does need to be taught from quite an early age. What I have found running workshops in schools, however, is that climate change is usually covered as part of science and geography and so the social and cultural implications don’t come up. Children ‘get’ climate change so much more powerfully when they are invited to imagine a fictional future scenario in which the world has gone horribly wrong and people are struggling to deal with the consequences. This came out very clearly when I ran an event as part of Climate Week last March, based on SeaBEAN, with our Secretary of State for Energy and Climate Change, the Rt Hon Ed Davey. I worked with seven secondary schools in my local borough, running cli-fi creative writing workshops, from which I helped them to select Climate Change Ambassadors. The Ambassadors from each school were then invited to a Question Time style debate we set up, in which Ed, myself, and two other people involved in climate change policy implementation locally, pretended it was 2114 and the borough was largely under water. We addressed all the questions that the students framed on that basis, and it brought out some very profound contributions from the 11-14 year old students. Your book is listed as “cli-fi”. When you were writing, did you know that such a genre existed? How do you react to this newer genre? How do you think your book falls into this genre? It’s a funny story, but about a week before SeaBEAN was published in September 2013, I was browsing books in Foyles in London and saw a table that one of the shop assistants had set up labelled “cli-fi”. I asked the manager what it meant and suddenly realized that I too had written a piece of cli-fi. The existence of this new sub-genre has helped with the marketing because it gave my publisher and publicist a new angle to work with, and my target audience was naturally curious – in most cases kids had heard of sci-fi but not cli-fi, and although some critics resist a new category on principle, by and large it’s made it much easier to explain my trilogy to people. A lot of cli-fi titles, including what is seen as the first of its kind, J G Ballard’s, The Drowned World, are dystopian depictions of a messed up world, and whilst I wanted to show this as a likelihood, I wanted my protagonists to use time travel not just as a way of witnessing the future, but as a means of solving some of the issues first hand. I have only bought the Kindle versions, but from what I’ve read, the actual physical book covers are very unique. Can you describe them, and explain how you got this idea? The covers of the SeaBEAN trilogy are indeed unique. I wanted to find a way to capture some of the magic of the futuristic device in my story called a C-Bean, which transports the children through space and time, on the jackets of my books. The C-Bean changes colour when you touch it, and so I did some research and found a company near Chester who could print over a normal image with black thermo-chromic ink, so that when your hands warm up the black ink it reveals the image underneath. So my books are the first novels ever to be produced with dramatic colour-changing covers. It’s quite something when you show this to children in a school assembly and they all gasp simultaneously! I found it refreshing that you really establish St. Kilda, Alice’s home, as a very important place for its inhabitants in the sense it is home to them–not just a temporary residence for its people, but a place to fight for as there is a threat of an oil rig going up on the island. Nowadays, in so many cities, you see people buying homes for investments only, or tearing down homes because they are just a little old and newer homes will bring in more money. I think that one aspect of your story is key: people living in a place are tied to it emotionally and not just physically. Can you talk more about this aspect? Do you see a tie-in with preservation of the not just the natural environment but the cultural one? Choosing to set the trilogy on St Kilda has been one of my best decisions. I have had a long-held fascination for the place, but had never visited it until last summer – and my story needed a remote and vivid location. I loved Morpurgo’s Kensuke’s Kingdom for that reason – but I wanted to set the story somewhere nearer to home, in the British Isles, and somewhere that was real and had a history of its own. St Kilda is a magical place, a World Heritage Site, and as an island that has not been inhabited since 1930, it gave me plenty of scope to create a believable new community that had allegiances to its real past. I have intertwined culture and nature throughout the story. Perhaps because at heart I am still an architect, establishing an emotional relationship to place is for me a very important part of storytelling. It seems like your background is quite varied: you’ve been an architect, urban developer, and professor. What led you to writing children’s books? I have three children, and when they got to the age when I could read the books to them that I remembered enjoying as a child, I had to admit that my kids weren’t finding them as enthralling as I was expecting. Even I thought they were in many ways less exciting than I remembered. I began to think about how I would go about instilling a sense of awe and wonder in a child reading a contemporary adventure story, and about how to use technology, pace, humour, danger, etc., to concoct something that went beyond the books I had enjoyed in the past. When you were a child, what authors inspired you? Looking back, all the books I read more than once (which in itself is a sign you found them really exciting at the time) involved either time travel, something a little paranormal, a difficult journey, or preferably all three. So I would cite Tom’s Midnight Garden and Charlotte Sometimes in the first case; The Changes by Peter Dickinson, Stig of the Dump and Marianne Dreams in the second category; and, best of all, The Silver Crown by Robert O’Brien as an example of the last type. The main character in the last story loses her parents in a fire and has to travel a long way, cross country, to her aunt’s house. It was about as scary as a children’s book could get for me at the time, and I absolutely loved the main character’s resilience and spirit of adventure. 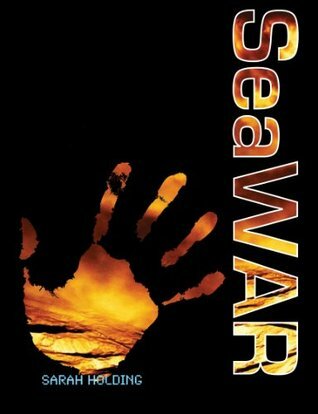 The SeaBEAN Trilogy has two books out so far, SeaBEAN and SeaWAR. When is the third part coming out? SeaRISE will come out in November this year, just in time for Christmas! Can you tease us a little about SeaRISE? In SeaRISE, Alice and her friends face their most difficult challenges yet when they are all abducted a hundred years into the future in the C-Bean. But, in the process, all the puzzling, troubling things will be revealed. Who is Karla Ingermann? Why did the C-Bean come to St Kilda in the first place? What happens in the future? Who is Hadron? What is really going on at El Dorado? Why did Alice’s house catch fire? Where did Old Jim get the money from? Why is Dr Foster a bit strange? Plus you get to meet a new character called Rudy, who I am sure readers will love. But most importantly, SeaRISE is about what Alice and her friends try to do to stop the sea from rising and the planet from being ruined. Any final thoughts about your work, the trilogy, or anything else? Writing the SeaBEAN trilogy and getting it published has changed my life. It’s as simple as that. I gave up my professional career as an architect, turned my back on 20 years of being an academic, and committed wholeheartedly to becoming a children’s author, and it’s the most rewarding and fulfilling thing I have ever done. Meeting children in schools, libraries and bookshops, when I’m doing workshops and signings and hearing what they make of the stories, is so fantastic. That and the many enthusiastic unsolicited reviews I’ve had online has really spurred me on to write more. I am very much looking forward to embarking on my next project once SeaRISE is in the bag, and it is likely that my next book will be aimed more at a YA readership, since this is where the SeaBEAN trilogy has been tending. I can’t wait to create some new characters that I love as much as I love Alice, Charlie, Jim and Lady Grange. And to anyone out there thinking of writing a cli-fi novel, we need more of them to show the many ways in which we are adversely affecting our world, and to help people think more deeply about the consequences for future generations.